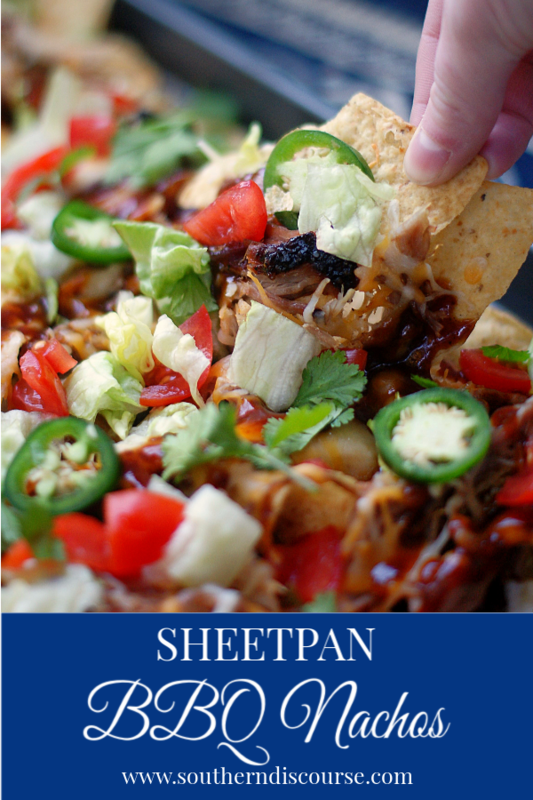 Everybody needs to know how to make some sheet pan nachos. Because nachos at home. Whenever you want. I mean, really. When.ever. Which for me… means all the time. 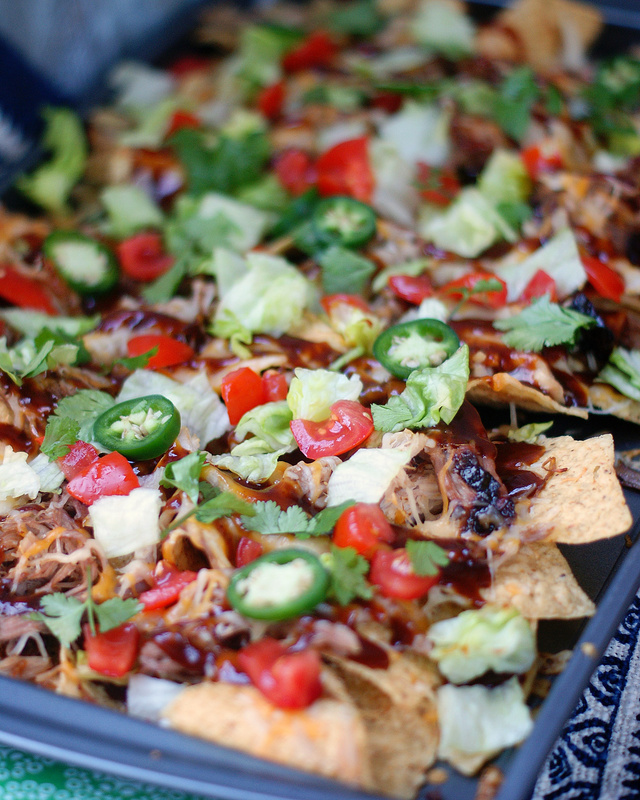 That also means I like to mix it up a little bit with my nachos, and these Sheet Pan BBQ Nachos really hit the spot when I am jonesing juicy BBQ pulled pork, but I still want… you got it, nachos! 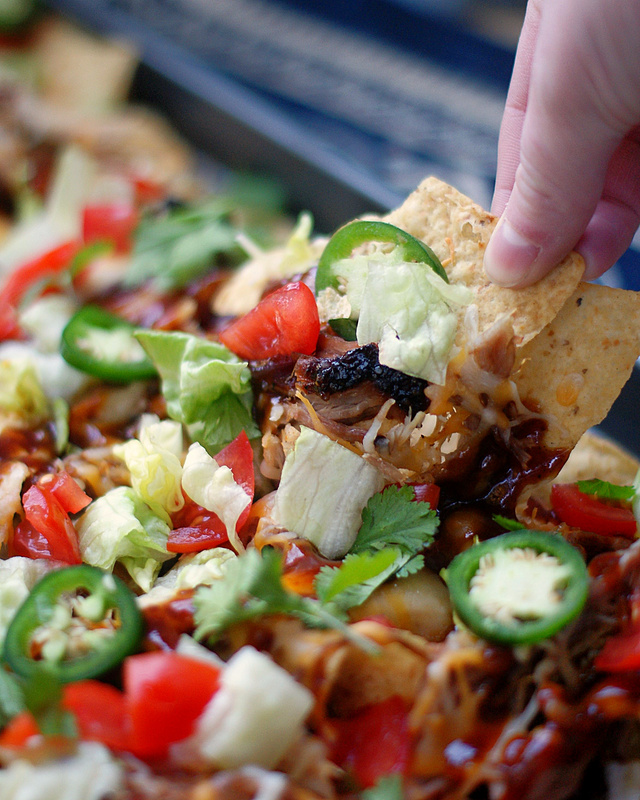 Growing up we ate sheet pan nachos every now and then. It was a treat. There wasn’t any going out to a Mexican restaurant with the five of us. 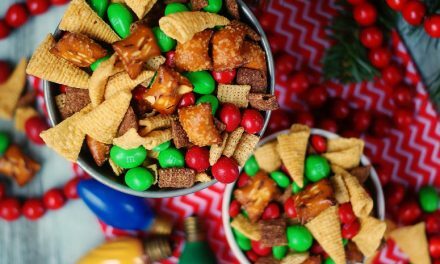 So this was a fun way my mom used to whip up a little fiesta without a lot of expense. Of course, we always made our nachos using ground beef with taco seasoning. 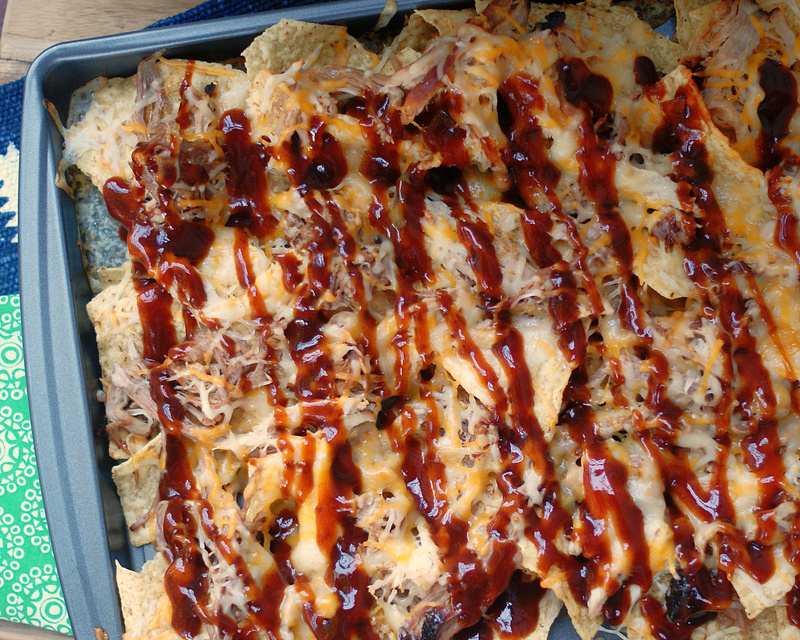 It wasn’t until I moved to Tennessee that I had BBQ nachos. 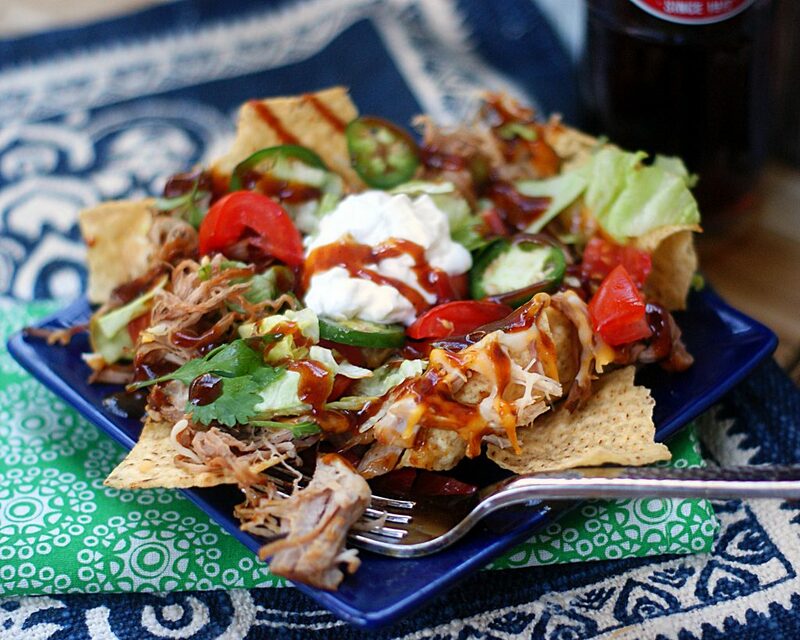 One taste of that sweet, tangy BBQ, the slow heat of the jalapenos and those salty corn chips and I was hooked. And I mean in a bad way. I even went to one of “THE” Memphis BBQ joints once with friends and embarrassed everybody by ordering nachos. I think I was supposed to order ribs or a plate or something like that. But I could. not. help. it. 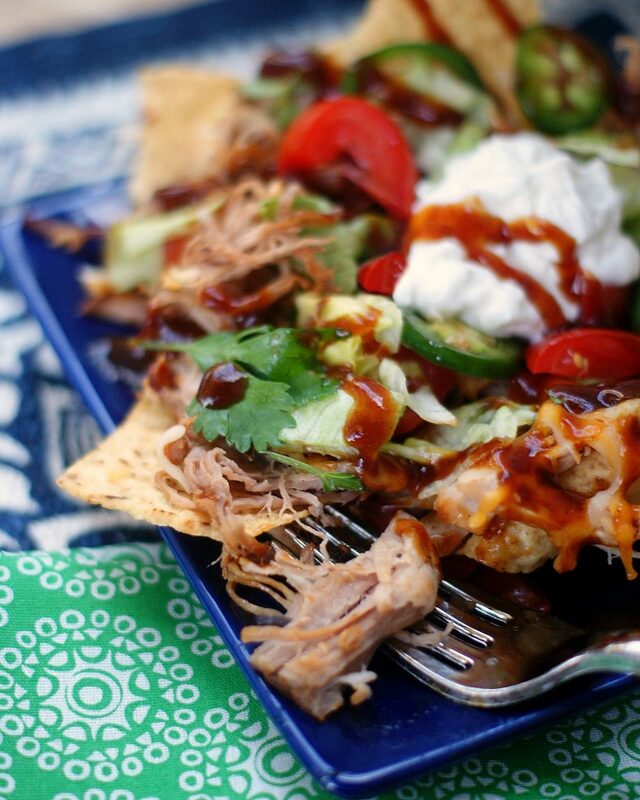 I just know that you are going to love these nachos just as much as I do! 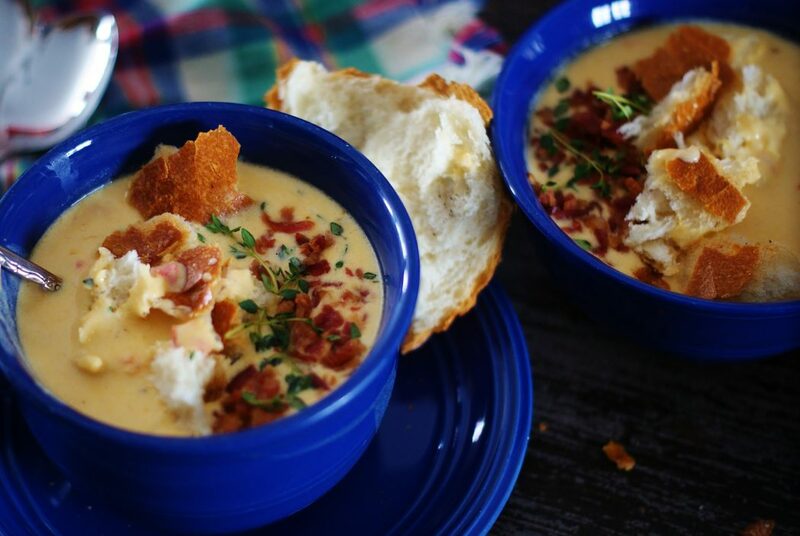 The recipe is quick and easy and you can top them off just about anyway you want. Check out this recipe for Cherry Cola BBQ Pulled Pork to make your own pulled pork in your crock pot or grab a pound or two from your favorite BBQ place for a short cut! 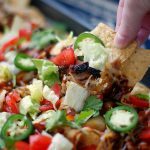 Crispy tortilla chips piled high with pulled pork, BBQ sauce, cheese, peppers and other toppings for a sheet pan recipe that feeds a crowd! 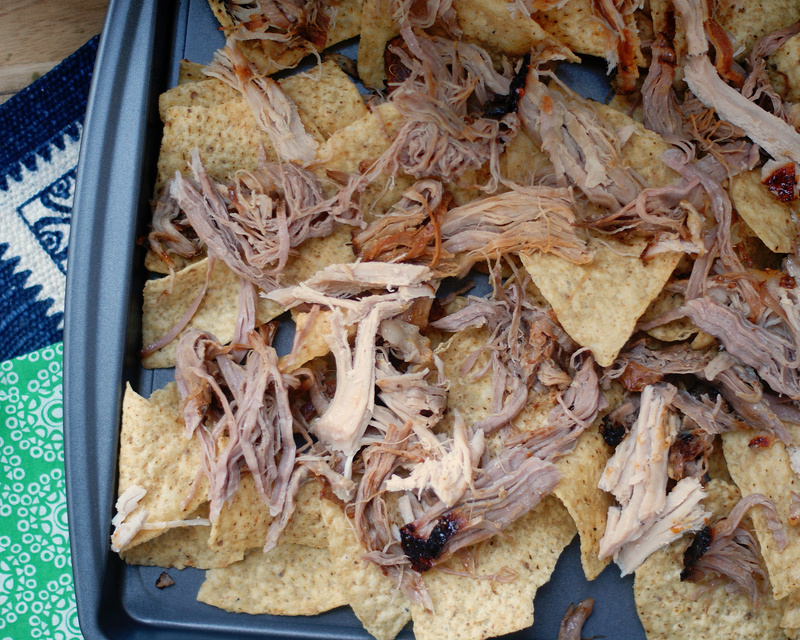 Spread tortilla chips in a single layer on a sheet pan. Top with pulled pork and shredded cheese. (You might not use all of the cheese.) Put in heated oven for 10 minutes or until the cheese is melted. Top with rest of ingredients. Serve with sour cream. 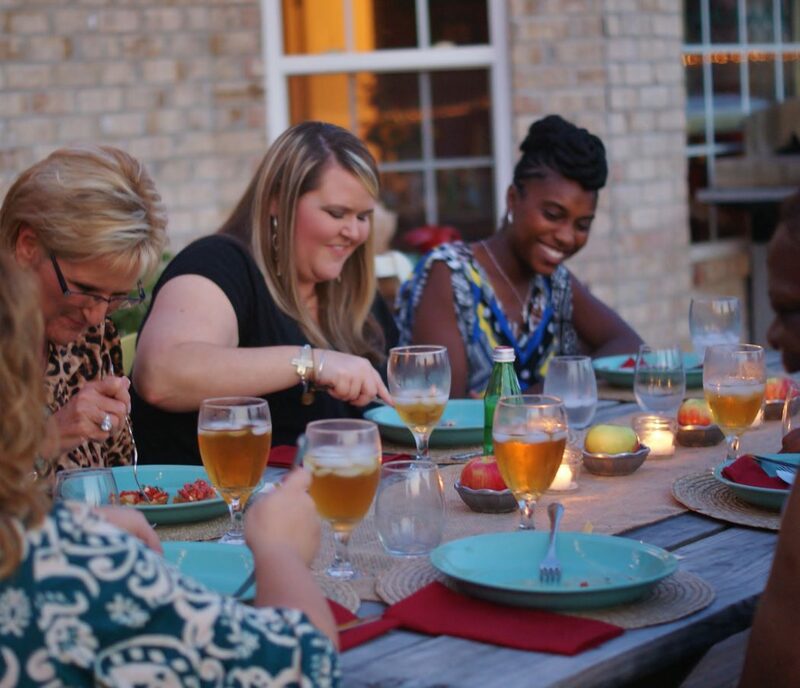 Find this & other great recipes at Foodie Friday!